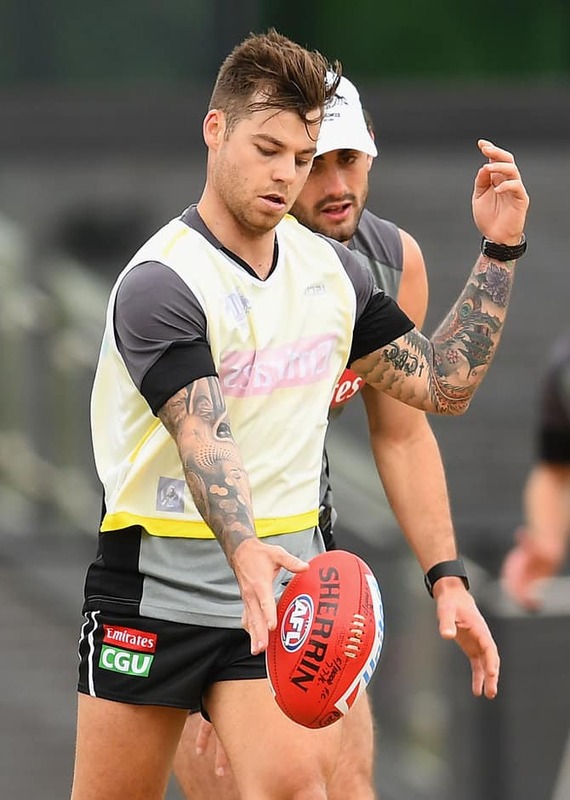 COLLINGWOOD assistant coach Brenton Sanderson believes Magpies small forward Jamie Elliott can recapture his best form after a season out of the game with a back injury. Elliott didn't play a game in 2016 as he nursed the serious injury, robbing the Pies of one of their most dangerous and prolific goalkickers as they failed to make the finals. But Sanderson, who is a new addition to the Pies' coaching panel for next season and will lead the club's forward line, said he was excited by the 24-year-old's progress in the first half of the pre-season. "(He's been) really good. Jamie's a great kid and I was looking at some numbers yesterday and the three seasons prior to last year he kicked 30-plus goals," Sanderson told SEN on Thursday. "He's that energetic and really dynamic small forward that opposition clubs find really difficult to get a match-up on. "If we can get some of those guys out on the field [it would be great], because (Alex) Fasolo missed a lot of footy last year too." Fasolo only played 12 games last season but kicked 25 goals to show his class and quality in attack. He booted four or more goals in three games, including a six-goal haul against Richmond in round two. Sanderson joined the Pies after two years as the NAB AFL Academy head coach, where he worked closely with the country's most exciting draft prospects. The former Adelaide coach said getting back into coaching at a club had reminded him of his passion to teach and develop players in the system, and that he had already had some "pretty heated debates" with close friend and Collingwood coach Nathan Buckley about how the Pies should play next season. "I guess our relationship and our friendship we can park while we're working and hopefully we remain really close throughout the next few years," Sanderson said. "The club's in a position where, with a young squad and a couple of years not making the finals, it's a really important year that we get off to a good start and have a good summer and ensure the boys are playing the style that 'Bucks' is really keen for them to do."